There are plenty of books in the world. I just want to know which one is your favorite and tell me why do you think it is the best! Great question. And I believe this will give us all an opportunity to know peoples favorite book, why they like it and it could lead an interest in us to read that book based on the reasons and experiences the people have listed down and shared. 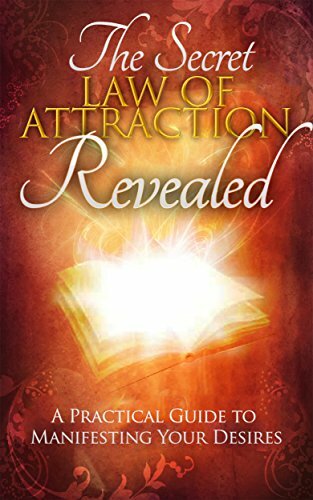 The Secret: Law of Attraction Revealed - A Practical Guide to Manifesting Your Desires: (How To Manifest) By William Maxwell. My Learning from the Book is three simple steps to get anything in life.
" I want to become a Millionaire" - So when you ask for something you need not worry about the how part of it. Just call it loud to the universe and forget about it. One thing to remember here is that the ask has to be realistic if you want your ask to come true sooner. The realistic the ask the sooner you get it. No doubt all your ask will be fulfilled by depending on its realistic nature it's going to take time. Hence the time factor comes in place giving you to rethink/reassess your ask and make changes accordingly. Coming back to our example of becoming a Millionaire and if suppose I don't have a single penny in my account then it's not a realistic ask. Assuming I have a couple of thousand Dollars then it may sense of asking to become a Millionaire. Once the asking part is finalized the next step is to start believing in that what you have asked for. The stronger the believe the faster you arrive at your goal. Whatever you have asked for and you don't believe in it yourself then how can the law of attraction or Universe will be able to make that ask possible. It is imperative that you have a strong belief in your ask i.e. think on the positive side of that that Yes whatever I've asked for is gonna be true in some time. We do not know the exact time but have a positive attitude and believe that things would change for good in the near future. Finally, the Visual part comes into the picture. This may sound weird but its the part of the book that says - You need to start visualizing things around you as if what you have asked for is with you. Sounds pretty weird right? But believe me that for the law of attraction to work you will need to visualize as if you have got that thing literally. So coming back to our example of becoming a Millionaire. A person should start to visualizing these Millionaire dollars in his or her dreams. Visualize as if you got this money and you are enjoying your life with it. Just at times close your eyes and imagine you have all that money and you are doing what you ever wanted to do with that money. Say bought a New house, car, going on a world tour etc etc.. just visualize all those happy moments you will have when that money is with you. in sync with the universe, you will notice that your ask has come true. It's very important for all the three:- ask, believe and visualize to be in sync with the law of the universe at any point of time if it's not in sync things aren't going to fall in place. As the universe is giving you the time to reassess and make changes to your ask i.e. be realistic. And when all these elements are in sync with the Universe you get it. I hope it makes sense and I highly recommend this book to all. 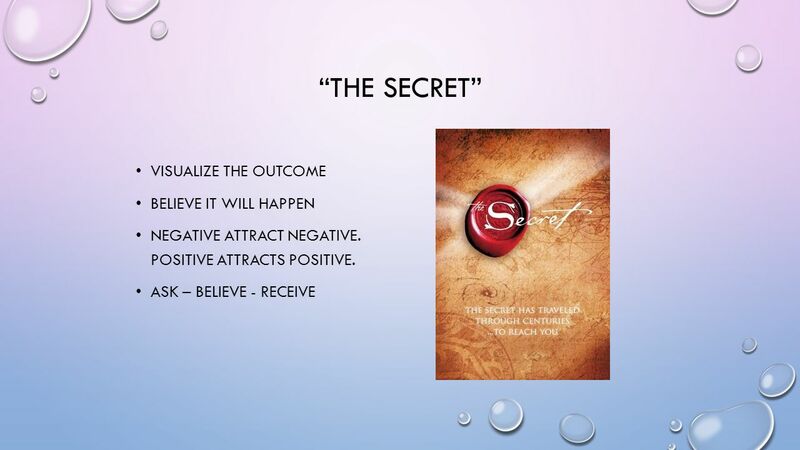 The Law of attraction and Yes it does work. I tried it and it has worked many a time for me. Also would close on a note that this book also gave me a direction to not to rush for things - be patient, be humble, express gratitude and things will happen. You will get all that happiness, peace, success and most important be in good health. My all time favourite book is "WITHOUT A SILVER SPOON" and it was written by a man called Eddie irroh, this is a prose work that was set in west africa, nigeria to be exactly precise it is a a book that was an all-time seller in the 1990s I mean nationally in nigeria the fact that it is a fiction was the more reason why it was even thrilling, because it told the story of a struggling african child who had poverty to tackle with even from his early age. The reason why I love this prose work is because people could relate to it, you could find one or two things in your life that was vividly explain this book I mean its details, the story of a family who were financially bankrupt but they had honesty as a policy they were honest to the core even at the expense of their poverty and the father inculcated honesty as a virtue to his children I never knew the face of hunger, self lack, self deprivation and total mockery. The story also tells the vivid story of a tribe in Nigeria which is the igbo tribe it explains culture and their way of life so much that even if a western was reading this book they will definitely understand how the igbo cultural lifestyle works and the mentality and how it used to be in the 1990s as well there were other things that should taste how the igbo people lived in those days and the writer of the book tells a very satisfactory yet emotional story of a young boy who was incorruptible despite his poverty. There are many books that I love. I particularly love books on investment and blockchain technology. One of the oldest books I like is by Benjamin Graham. The intelligent investor. This is what I would call the Bible of investing. It is a practical guide to real for those who are super duper interested in investing. There are many hard terms in this book but there is a commentary by the author that helps to clear out some hard to understand things. The new book that is my current favorite and I am still reading. It is digital gold by Nathaniel popper. It tells the untold story of bitcoin. Roughly 380 pages. Tells the story of how bit coin started way back in 2009. Addictive. I wonder how he got all those sources. It is an eye opener. It let's u understand how bit coin really got valuable and also the silk road where it all started the transactions and made bit coin such a valuable payment coin that we know today. As a bookworm, there are so many books that are in my favorite list. It's hard to point out what are the best. It is just like asking a car lover what is ur favorite car and i bet its gonna be tough for him to answer. my favorite book of all time is 48 laws of power . i love this books because it gives a detailed explanation on how to rise to the top and be powerful and influential and rich in the process. this book is just a complete package of how to live life. it touches everything in all aspects of life. the books teaches us to be respectful, humble , loyal, to always prepare to make upmost use of an opportunity when it presents itself. this books gives insights and recommendations to people who want to be powerful, rich and influential. its can used to solve school problems, academics problems, lifestyle problems, political problems, leadership among others. although i am a Nigerian and i reside in Nigeria, this books actually perfectly relates to all situation of any country. Any citizen of any country can relate with it. its the best book and my most favorite book of all time . the book was written by Robert Greene who happens to be an america artist. And then extending to the most recent, advanced take on its encyclopedia of metaphysical wisdom, Richard Rudd’s GENE KEYS. What do you guys think will be the strongest feature of Hard fork 20?What would happen if science disproved religion?If you are not a programmer, how can you contribute to utopian.io?What's your passion?What do I need to know to success on steemit?Do you agree that child protection policy has caused students to be stubborn and sometimes abuse it thus affecting their learning?Is starting a business less risky than investing on cryptocurrency?What is love?Are people born evil?What to do if i am flagged by steemcleaner?